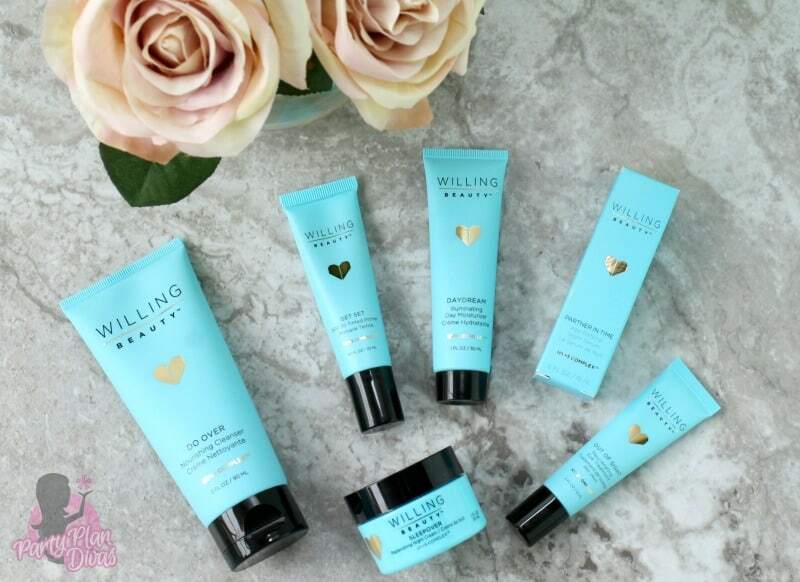 Willing Beauty is a direct sales company that features safe ingredient skin care for women and teens. First known as willa, this dynamic company joined the Origami Owl Family of Brands in 2016 and has been growing in popularity ever since. In recent years there has been a shift with women becoming more and more discerning about what ingredients they put on their skin. Yes, we all want to slow down the aging process, but now that we know that everything that you put on your body also goes in your body – women everywhere are being much more cautious about products that they use. As the mother of two teenage daughters, I am also focused on teaching my girls the importance of good quality skin care starting at a young age. 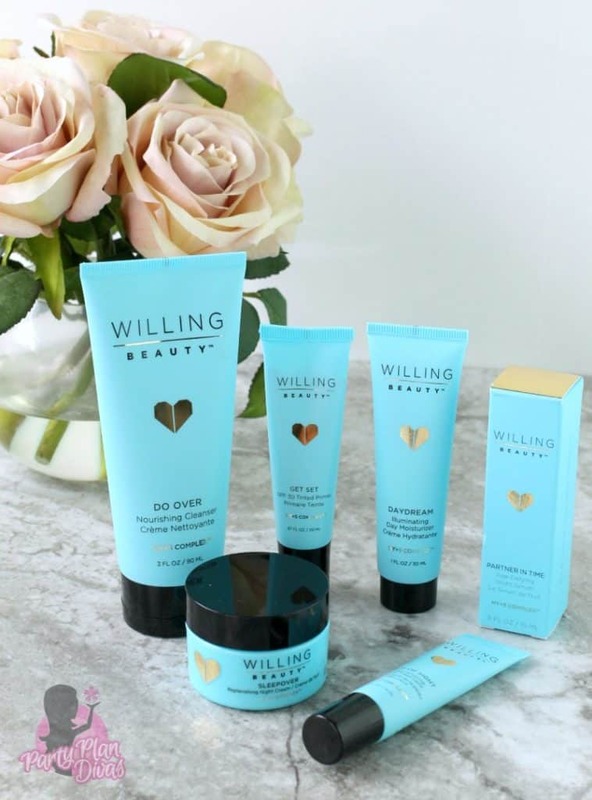 I love that Willing Beauty offers products for both my daughters and me to use! I was super excited that Independent Willing Beauty Advisor Lynette Jeffres sent in the complete Willing Beauty Hy5 Regimen for this year’s Gift Guide. I have only been able to use the set for a few days, but I already like how soft it makes my skin. The Willing Beauty Daydream Illuminating Day Moisturizer is fantastic – I want to put it from head to toe – but my favorite is the Get Set SPF 30 Tinted Primer! I have never used a tinted primer but after using this – I can’t imagine ever going without it! I have lots of sun damage from many years of living – and loving – the Florida sunshine, and the primer helps to instantly brighten and even out my skin tone. And with the SPF 30 it is helping to prevent further sun damage – something I most definitely need! Our HY+5 Regimen is an age-defying, interactive, streamlined skincare system that fights the signs of aging while providing advanced hydration and protection against environmental aggressors. Each product is feather light in texture and contains a customized dose of our proprietary HY+5 Complex, rich in hyaluronic acid plus 5 forces of nature – vitamin C, prickly pear cactus seed oil, marine glycoproteins, alpine edelweiss flower, and deep sea hydrothermal enzymes, all known for their ability to survive and thrive in some of the most compromising climates. Regimen includes: Do Over Nourishing Cleanser, Daydream Illuminating Day Moisturizer, Partner In Time Age-Defying Night Serum, Get Set SPF 30 Tinted Primer, Sleepover Replenishing Night Cream. With Willing Beauty, you can feel confident that what you put on your skin is safe and beneficial to your skin and overall well-being. It is the results you want without the chemicals that you don’t want – a total win-win! You can shop directly from Independent Willing Beauty Consultant Lynette Jeffres website, or earn Golden Heart Rewards by sharing these products with your friends and family. If you want even more, consider joining Lynette’s team and build a business with this powerhouse company. Check out Lynette’s website to learn all about how you can get involved with Willing Beauty! I am excited to offer one of my readers your very own Willing Beauty Hy5 Regimen from Independent Willing Beauty Advisor Lynette Jeffres. You can enter using the RaffleCopter widget below. Good luck!